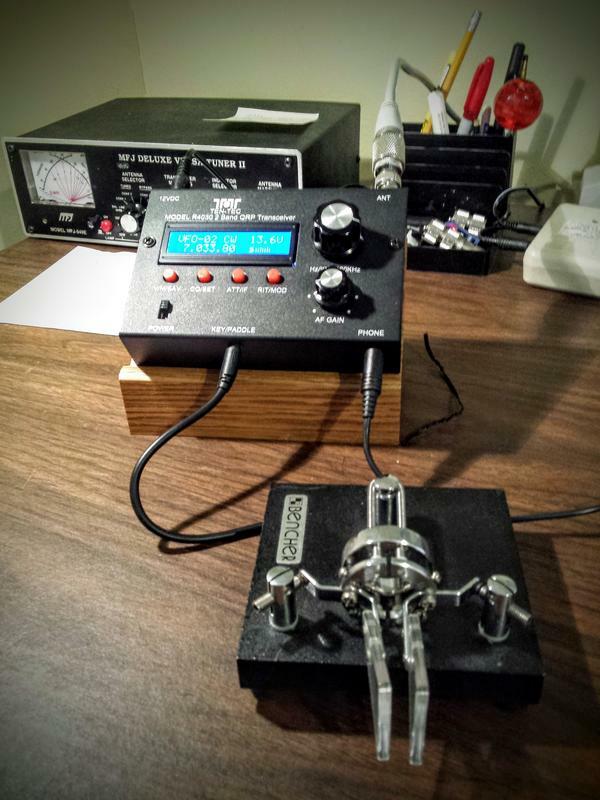 My interest in amateur radio was re-kindled due to a dinner conversation with N4HAY. We were both at a dinner for the Wake County Master Gardeners of which both his wife and mine are active members and we began talking of hobbies. 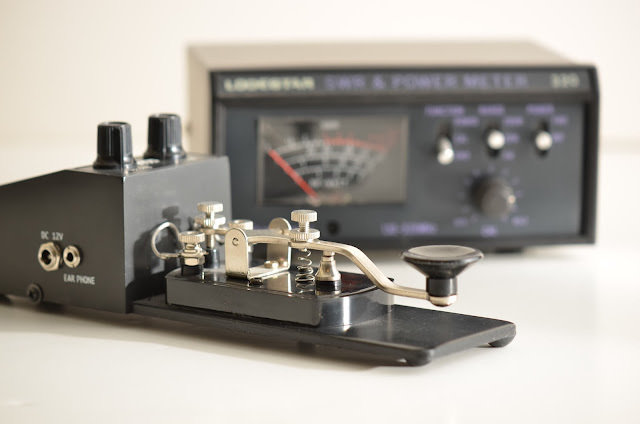 He mentioned his deep interest in QRP operations, building small radios and operating CW (morse code). I told him that I was a licensed operator but had not been involved in the hobby for years. We talked a bit more, exchanged call signs and that was it... except it wasn't. To get my upgrade to a General amateur radio license back in 2006 I was required to learn morse code at 5 wpm. The requirement in the past was to learn it at a higher speed. The problem with learning Morse at 5wpm is that it's so slow it allows you to learn morse code with "tricks" such as syllabic mnemonics that mess you up as you try to improve your speed. Well I took the easy path with tricks and then I couldn't proceed. I also didn't find someone to practice my code with at the time. I just launched out and tried to make contacts after getting my General "ticket". I failed horribly. Some hams will slow down to 5wpm but most (in my experience) will not or cannot send that slowly. My CW contacts were few and far between and eventually I just stopped trying. I decided that my pain with CW was worth moving beyond. The idea of operating with low power and communicating solely via CW became intriguing to me. I went digging through my closet and found that I still had my cheap, practice MFJ straight key. I also still have my Bencher Paddles but I didn't have a keyer so I could only practice with the straight key. I also made extensive use of a nice website Learn CW Online to learn to copy as well as listening to ARRL practice code files. I got a Morse code app for my phone to see how sloppy my sending was. I'd set it next to my practice keyer and see what I was sending. I was amazed at how poor my timing was and was glad to have the app to show me my errors. 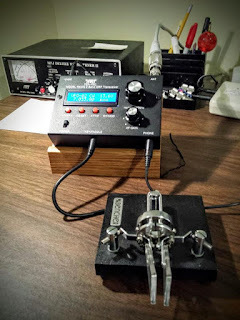 After nearly 600 practice groups on the Learn CW Online website (I'm a slow learner), I borrowed a friend's QRP radio so that I could start practice copying real transmissions. 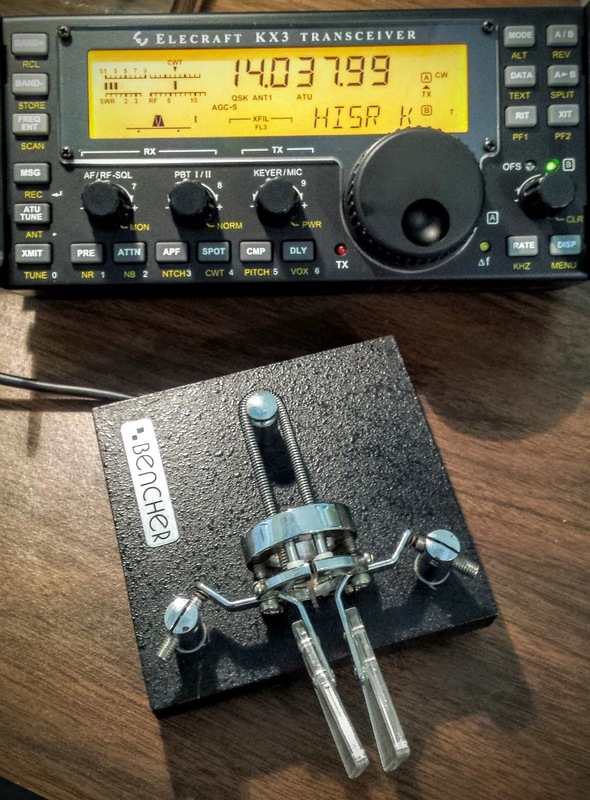 Listening to real QSOs makes all the difference. I have written gibberish on page after page whilst trying to copy actual stations with fading signals, abbreviations I don't recognize and code sent with less precision than the computer generated stuff I was learning from. But with practice copying and an on-the-air scheduled QSO with couple of nice local hams I gained enough confidence to start sending my call out there and start communicating. I have a lot to learn and my copy skills are still lousy but I'm working on it and I encourage every licensed amateur operator to at least consider brushing off their CW skills and seeing who they can talk to with 5watts or less and a piece of wire.